The Lake Ray Roberts Rotary Club has been honoring local First Responders in our area this year. 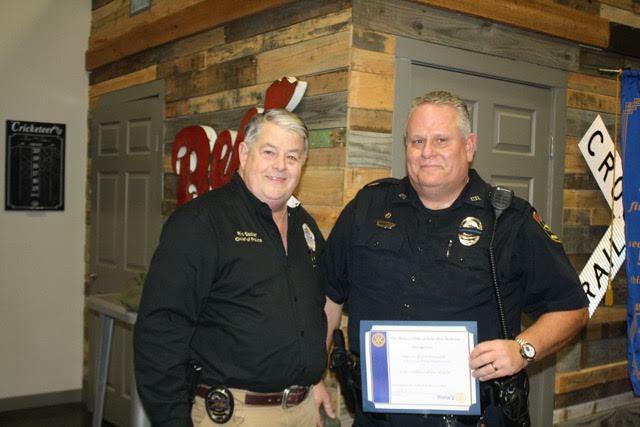 Tuesday at our regular meeting we honored two first responders from the City of Pilot Point. The first responders are selected by their departments. 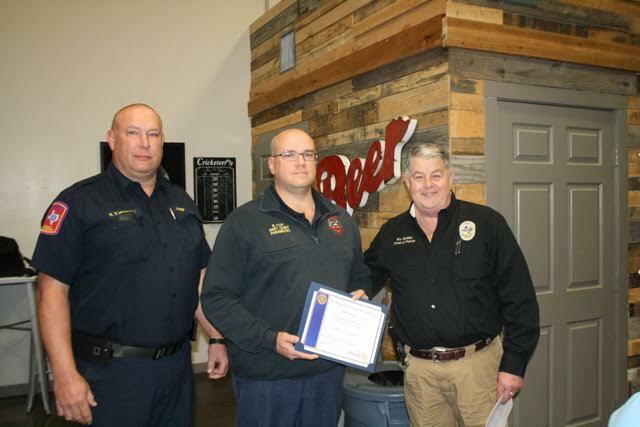 Presenting the certificates were City of Pilot Point Fire Chief, Heath Hudson and City of Pilot Point Police Chief, Ric Sadler. Congratulations to our Firefighter of the Month, Bryan Cox and to our Police Officer of the Month, Barry Pennell. We thank them both for their service to our community.